As you will no doubt have seen, the construction of the Brentford Football Stadium is continuing to progress well, with the bulk of the south, east and west stands now in place. Work on the north stand is due to start over the coming weeks. Construction of the lift-core of one of the first residential blocks on the Central Eastern site has also started. 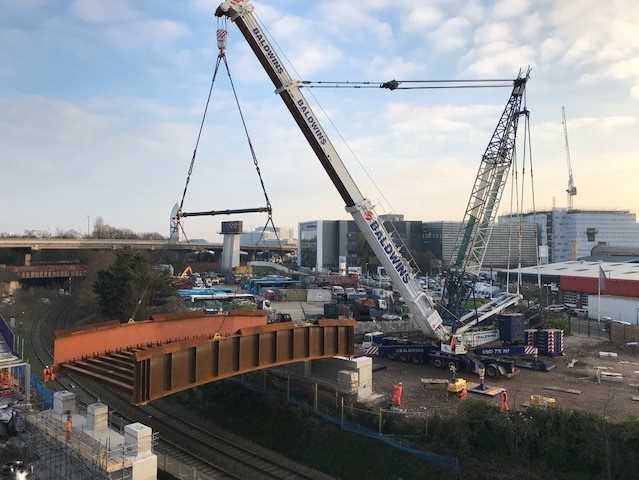 Over the weekend of 19/20 January, the eastern bridge was successfully lifted into place over the railway line to the east of the main Lionel Road South site. A short time-lapse video of this process is available here. In addition, some members of staff from Brentford FC were able to get onto site for a tour of the new stadium for the first time and there is a short video here of the visit.